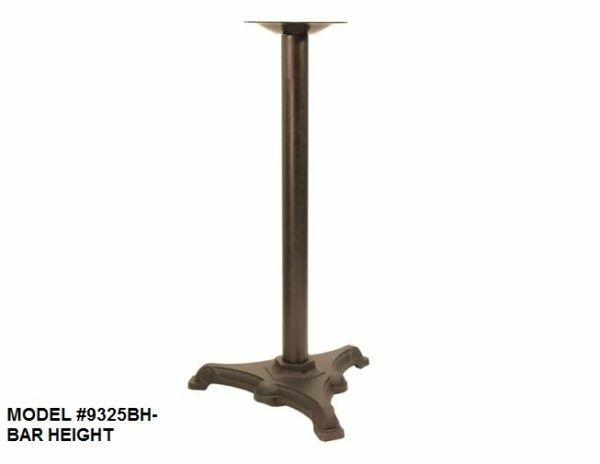 Ornate Decorative 3 Leg Table Base – Model 9325 – Restaurant Chairs by M. Deitz and Sons, Inc. 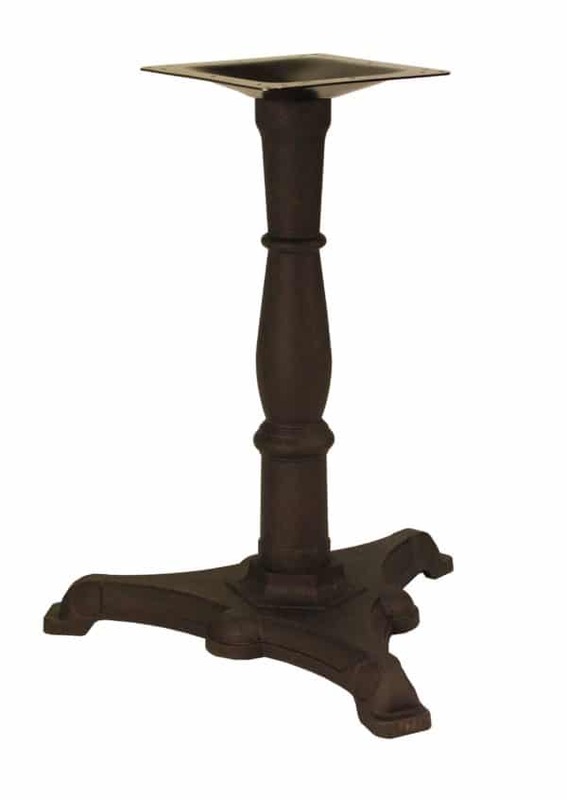 This heavy duty Black powdered coated table base is extremely attractive and will add to any decor. 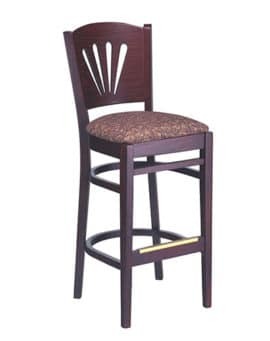 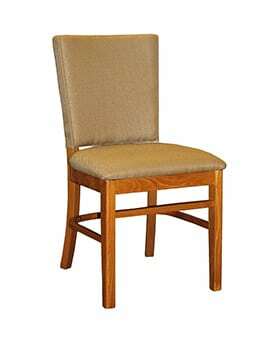 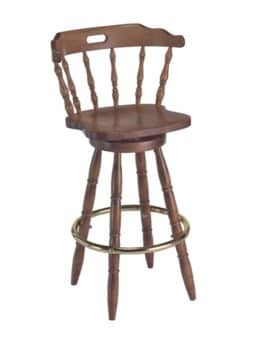 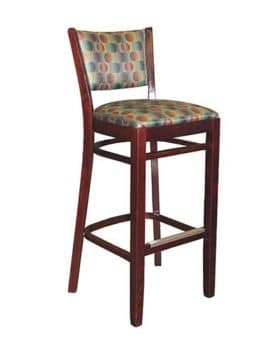 They are heavy weight with thick components and will hold up in any hospitality environment. 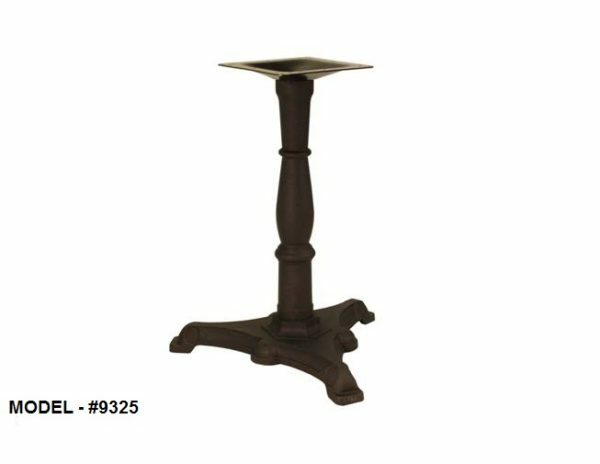 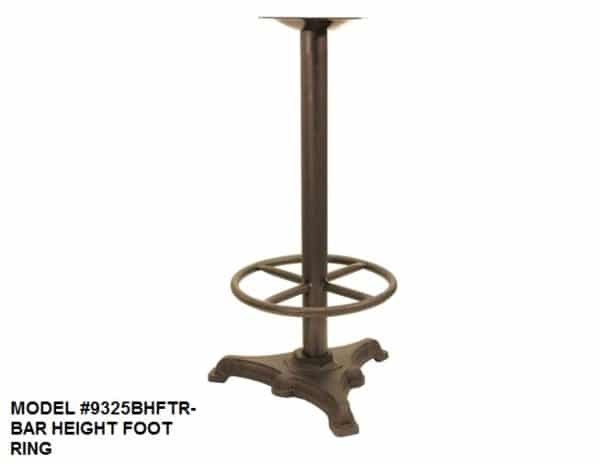 All cast iron, with a steel stamped spider the base plate has a 25 1/2″ foot print to support most table tops up to 36″ x 36″. 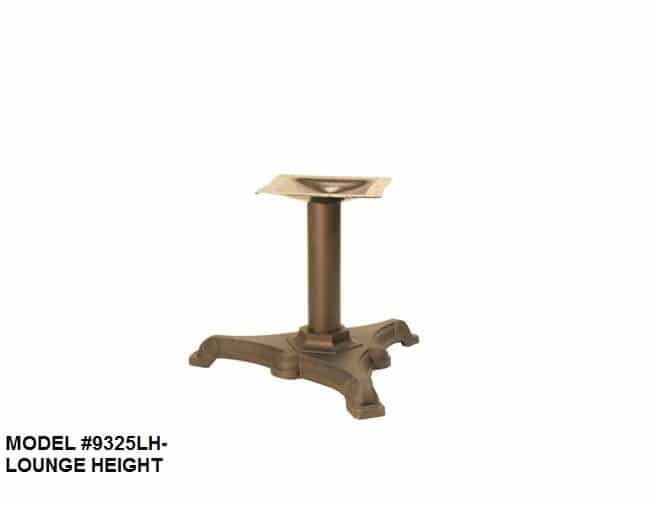 A variety of plain steel column options for dining and bar settings are readily available as well as upgraded top plate options.